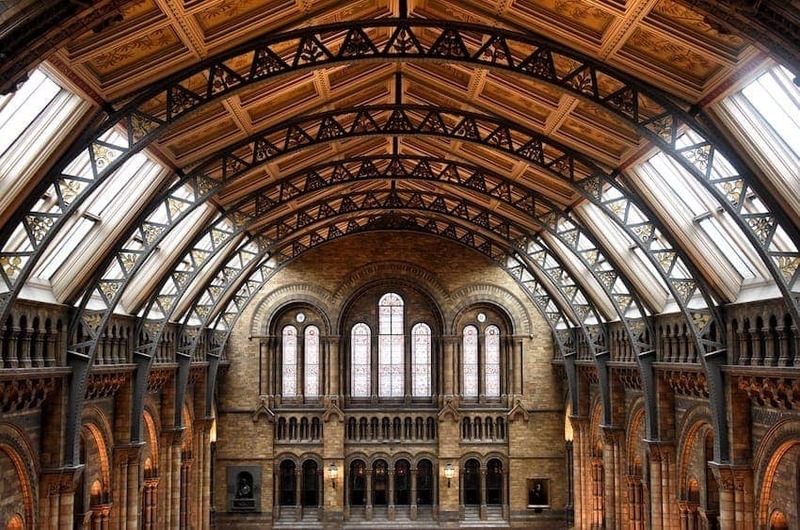 The Natural History Museum houses the world's most pre-eminent collection of natural history specimens. Huge galleries were designed to accommodate whales, elephants and dinosaurs. Terracotta has been used for the entire building which also represents one of Britain's best examples of romanesque architecture, while animal and plant decorations and sculptures adorn the internal spaces and ceilings. The Natural History Museum houses the world's most pre-eminent collection of natural history specimens. 80 million specimens spanning billions of years are cared for by the museum and as well as the permanent displays and interactive exhibits there is a calendar of inspiring exhibitions and attractions on offer. The huge mammals and dinosaur skeletons steal the show.